Basic income continues to make headway in France after the Minister of Economy and the Minister for Digital Affairs sent positive messages about it. 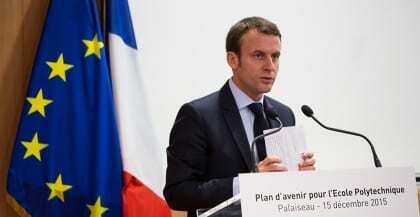 The night before however, the French National Assembly had rejected several amendments calling on the government to carry out a comprehensive study on basic income to assess its feasibility and explore different ways to implement it. The amendments were championed by Socialist MP Delphine Batho and her Republican colleague Frédéric Lefebvre in the context of a current bill on so-called ‘Digital Republic’, and were meant as a follow-up of the release of an important report on the transformations of work in the digital era. The night just before the French National Assembly rejected the amendments by only one vote. However Luc Belot, rapporteur of the bill, and Axelle Lemaire, Minister for Digital Affairs, said they were open to the idea. However, both the Minister and rapporteur called on the MPs to reject the amendments on the ground that the topic fell outside of the focus of the bill being discussed. They invited MPs to include basic income into the work of another parliamentary working commission led by Christophe Sirugue, which has been tasked to produce a comprehensive review of the welfare system. The French Movement for Basic income (MFRB) has been asked to contribute to the commission’s work. “We are currently working on providing concrete proposals to pave the way towards basic income” said researcher and MFRB member Jean-Éric Hyafil. Stanislas Jourdan has written 43 articles. No every one will still work..there is a wage to be earned ..but what it will mean is your employer will not be able to stand over you and people that cant work or cant find work will not be isadvantaged and put stress on the medical systems and the state/country. We respectfully suggest the serious consideration of Socioeconomic Democracy as a peaceful, just and democratic resolution to the myriad unnecessary and pain-filled problems confronting humanity caused by the present maldistribution of both Income and far more importantly Wealth about the world. Socioeconomic Democracy is a theoretically consistent and peacefully implementable socioeconomic system wherein there exists both locally appropriate Universally Guaranteed Personal Income (UGI) and locally appropriate Maximum Allowable Personal Wealth (MAW), with both the lower bound on personal material poverty and the upper bound on personal material wealth set and adjusted democratically by all participants of a democratic society. Socioeconomic Democracy is easily realized with elementary Public Choice Theory. Socioeconomic Democracy further encourages voter participation and provides the essential economic funds and more importantly psychological incentives for all to work productively and satisfyingly to realize a sustainable socioeconomic system seriously and successfully dedicated to the betterment of all humanity, here presumed a desirable endeavor. It has been demonstrated in detail how Socioeconomic Democracy would simultaneously eliminate or significantly reduce a multitude of serious-to-deadly and intimately intertwined societal problems including (but by no means limited to) those familiar ones associated with: Automation, Computerization and Robotization; Budget Deficits and National Debts; Bureaucracy; Maltreatment of Children; Crime and Punishment; Development, finally sustainable; Ecology, Environment, Resources and Pollution; Education; our Elderly mothers and fathers; the Feminine majority; Inflation; International conflict; Intranational conflict; Involuntary Employment; Involuntary Unemployment; Labor Strife and Strikes; Medical and Health care; the necessary global Military Metamorphosis; Natural Disasters; Pay Justice; Planned Obsolescence; Political Participation; Poverty; Racism; Sexism; and the General Welfare. These ramifications of Socioeconomic Democracy emphasize that whatever one’s “favorite few” societal problems requiring solution, they are inseparably interrelated with dozens of others just as serious. This implies that to significantly resolve or reduce any societal problem requires the simultaneous resolution of them all. Those interested in contributing, in any way, to the further understanding, development, realization and distribution of the ideas and benefits described here are urged to contact this writer as well as your own thoughtful readers and associates. International Journal of Science, vol.1, February 2012, (pp.33-48). Studies of Changing Societies: Comparative and Interdisciplinary Focus, vol.1, June 2012.